A great, basic helmet. It gets the job done similar to higher end models but without any flash or pizzazz. Our Best Bang for Your Buck Award winner, the Giro Nine MIPS, is the epitome of the everyman helmet. It's been Giro's flagship since some of us were learning to ski as children. We wouldn't be opposed to a picture of the Nine being placed in the dictionary next to the term 'ski helmet.' Now Giro is stepping up its game. The latest iteration of the Nine now comes with MIPS technology, a system designed to reduce rotational forces on impact and lessen the chance of serious injury. It's a good helmet; it does its job well. It's not loaded with the bells and whistles of some of our higher-rated helmets. It's not pushing the envelope of technology and innovation. It's just a good, solid, reliable helmet with MIPS added in. You're not going to break the bank purchasing one, and you're not going to feel let down rocking it at your local hill. If you're looking to drop that bargain price even more, check out our Best on a Tight Budget winner, the Giro Ledge. It costs half the amount of the Nine but also falls behind in nearly every metric. You can still get it with MIPS tech inserted, though. The Giro Nine MIPS is an institution. It's a quality, reliable helmet, unlikely to truly wow you, but near-guaranteed not to let you down either. The Giro Nine, impressive for its price-to-performance ratio. The Nine MIPS fits like your favorite pair of sweatpants. It's not some over-hyped micro-fiber, 1000 thread count affair, it's just comfortable. The in-form fit system is just another version of the cinch wheel at the back of many of the helmets we tested. We did find that, while similar, the various systems, all intended to personalize the fit of the inner liner, didn't always perform the same. Comparatively, the Giro Zone scores well in that it really seemed to snug up the full circumference of your head. Oddly, Giro decided to go with a different inner fit system for the Nine, and while it's certainly not as impressive as the Zone, it still does a good job of providing a more custom fit. Finally, the ear pads are surprisingly soft and surprisingly thick (aka warm), a small but important feature. The Nine MIPS scored well on warmth, due in large part to the fact that, while there are twelve vents on the outer shell, you can seal off ten of those twelve with a slider on the top of the helmet. The only two that remain exposed to the elements are on the far back of the helmet out of the normal flow of air. Given the number of them, there is a noticeable difference between having the vents open and having them closed. On a stormy day, we were perfectly warm in the Nine. Staying warm on a stormy day in Tahoe under the Giro Nine. Again, this is your standard helmet. It's not going to blow you away with the amazing ventilation, but it's not going to leave you sweating like Santa's reindeer on Christmas Eve either. There are a fairly impressive 12 total vents on the Giro Nine MIPS, with two located under the front brim (think just above the top of your goggles). They're not giant, air-sucking gaps of ventilation, but there are enough of them evenly spread around your head to keep you well vented in all but the balmiest of conditions. You may find yourself a little moist on those last days of the year in late April (or into May if you're lucky), but in just about any other condition, the venting on the Giro Nine MIPS will keep you cool. The Giro Nine MIPS doesn't skimp on the vents, and nearly all of them can be open and closed with the slider on top of the helmet. We were pleasantly surprised when the Giro Nine MIPS weighed in at a svelte 15.4 ounces. 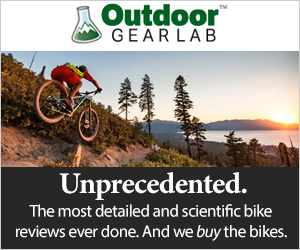 While certainly not our lightest helmet (check out the incredibly lightweight Salomon MTN Lab if you are seeking weight first), it certainly puts it on the lighter end of the scale. For many, this is something you won't even notice, but for smaller skiers or those who trek uphill in the backcountry with some frequency, the Nine is a solid choice. Again, as with so many other categories, it isn't the standard-bearer, but it puts in a solid effort. The Giro Nine MIPS does a very nice job of integrating goggles with the helmet. A somewhat standard clip keeps your goggle strap in place in the back. Then there is a nice, though subtle, groove along the sides to keep your goggles at the right level, a feature we were a little surprised not to see in many of the other models we tested. While there's no brim on the front of the helmet, there is an appreciable ledge for the top of your goggles to cozy up against. That ledge also features two vents that should align with the top of your goggles, helping to keep the air flowing through and the fog out. In this photo, you can see the groove for the goggle strap to rest along the side, helping keep them in place. Did we mention that the Giro Nine is the archetype on which all other helmets have evolved? It's the quintessence. The design hasn't changed immensely over the years. Not because the fine folks at Giro are lazy, but because it works. There's nothing flashy about the style and design of the Nine, but there's an element of classic going on here. Smooth from front to back, slight grooves leading in and out of the vents, nothing fancy, just a good-looking helmet. Style points may be subjective, but we have no complaints nor thrills here. While the Giro Nine MIPS would certainly work for anyone, it's probably best suited to the occasional skier or even weekend warriors. If you're a true snow addict, you're going to find more satisfaction in our higher rated helmets like the Smith Vantage or even the Giro Zone (an elevated version of the Nine). But if you just like to get out for a few turns with your friends on the weekend, or if you're the one-week a year ski vacation type of skier, this helmet's a fine choice. If you have teenagers, as in plural, and you're not the CEO of a Fortune 500 company, the Giro Nine would be a great choice for your kids. Anyone on a budget, for that matter, will appreciate the Nine's price point. It's a quality, if basic, helmet that does all the things you want a helmet to do, well. No frills, just solid, reliable function; that's what makes it a Best Buy. This is the Giro Nine's domain and the crux of its Best Buy status. At $120, this is not a flimsy, concussion-from-a-pine-cone kind of helmet. The Nine is a great value. The MIPS technology alone proves that this is a quality skid lid, not to mention the myriad of features that, while not flashy or innovative, hold their own with many of the more expensive helmets we tested. Consider this, Giro has been making the Nine for over a decade, that's a proven track record. The bottom line is that this helmet is a solid reminder that you don't have to take out a second mortgage to have quality ski gear. The Nine feels and functions above its price tag, which is our favorite thing about it. The Giro Nine MIPS is a great helmet at a great price. There aren't many skiers out there who wouldn't find it at least an adequate solution. If you're in the market, the Nine is worth a look.